Minister for Education Ruairi Quinn has said he will be establishing a forum to identify how schools can be transferred out of Catholic patronage as a matter of immediate priority. Addressing managers of the country's Catholic primary schools, Mr Quinn said the forum would identify methods and processes by which Catholic schools could be divested. He said the forum, which forms part of the new Programme for Government, would focus not on whether this was a good idea but on how to make it happen. Minister Quinn said the forum would begin work as soon as possible and complete that work in nine months' time. He said that it was essential that more rapid progress be made than previously, and that the real concrete divesting of schools be achieved. Minister Quinn received a standing ovation from delegates to the CPMSA delegates at this AGM. 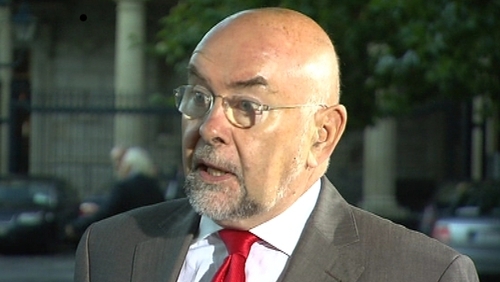 The Catholic bishops have welcomed Minister Quinn's initiative, and, in particular, his commitment to a speedy process. Meanwhile, The UN has criticised the continued lack of non and multi denominational schools in Ireland. In a report issued today the UN's Committee on the Elimination of Racial Discrimination says Ireland must accelerate efforts to establish these schools and to amend legislation that inhibits students from enrolling in schools because of their faith or belief. The committee has said it noted with concern that the education system here was still dominated by the Catholic Church and that Catholic children were favoured for entry into those schools against students of other faiths. Earlier today Minister for Education Ruairi Quinn said he would establish a forum to deal with the divesting of Catholic Primary Schools.